Pirates are not for the faint of heart.The dark passions of Marinette La Croix, the fierce and dreaded captain of the Bloody Baron, have met their match in fellow pirate Harry Edge. Harry, her first mate, is the only member of the crew to have spent a night with her--a mistake she refuses to make twice. Even if he once saved her life. Because pirates can't be trusted.But Harry is determined to make her his...There are no heroes in this dark and wicked romance. Only villains. You have been warned. 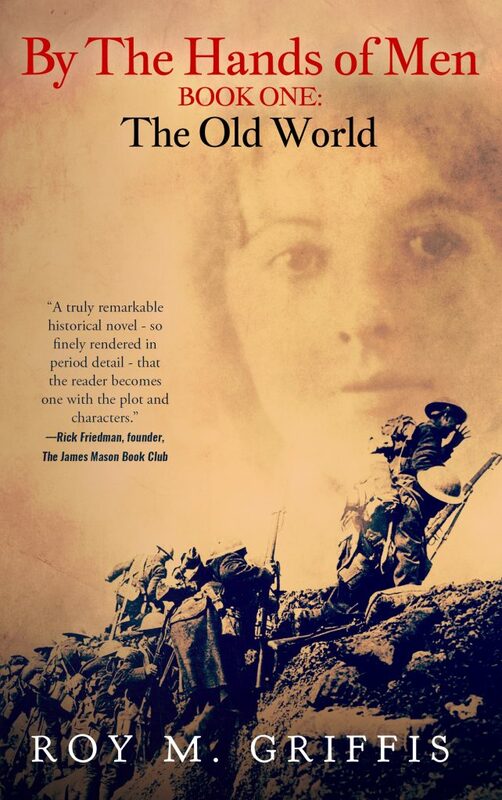 Book One of the By the Hands of Men series, which is the story of an English Lieutenant and an immigrant Russian nurse who meet scarcely a mile from the bloody trenches of World War One France, where they witness the hell that the hands of men can create. The memory of their brief weeks together will follow them for years as they cross a world staggered by war, revolution, and duplicity. The saga begins with The Old World, when Russian refugee and nurse Charlotte Braninov encounters English Lieutenant Robert Fitzgerald just beyond the blood-drenched front lines, and he helps her save the life of another soldier. 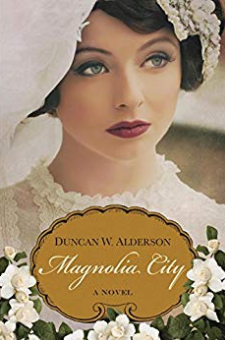 Robert’s calm, courtly manner lingers in Charlotte’s mind, a comforting memory amid the deluge of suffering that surrounds her when she returns to the hospital. You can’t reach what’s in front of you, unless you let go of what’s behind you.For talented seamstress Miss Rosaline Hall, her new task to fashion a wedding gown for the Duke of Horenwall’s future wife comes with a catch. The bride is none other than the lady who sent her late sister to jail.Preferring the solitude of his study to polite company, Norman Kinsley, Duke of Horenwall, finds himself peculiarly disinterested in a seemingly perfect bride-to-be. However, he can’t say the same about the new fair seamstress with the fiery gaze.With the world against them and an old crime brought back from the grave, Rosaline and Norman must work together to uncover the malevolent trap set against him.Rosaline’s sister didn’t just die and her killer is right in front of them. 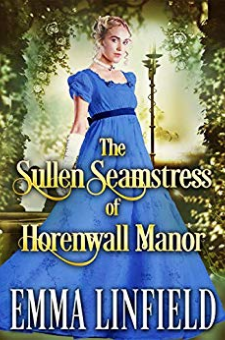 *If you like powerful Dukes, loving Duchesses and a marvelous depiction of the majestic Regency and Victorian era, then The Sullen Seamstress of Horenwall Manor is the novel for you. Emma Linfield's 12th book is a historical Regency romance novel of 80,000 words (around 400 pages). No cheating, no cliffhangers, and a sweet happily ever after.Pick up "The Sullen Seamstress of Horenwall Manor" today to discover Emma's amazing new story! Isabella Desmarais has her world turned upside down in a single day. But even as her father cancels her engagement and makes her travel to England to become the wife of a Duke, Isabella is not one to give up that easily! Her spirited, witty nature pushes her to change positions with her maid with the intention of sabotaging the engagement. However, even though she's determined to dislike the Duke, she can't help but feel an untamed attraction towards him. 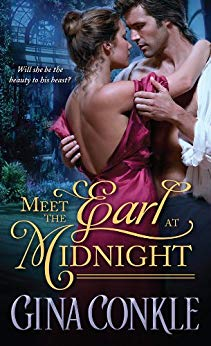 When the innocent attraction evolves into ardent passion, what is she willing to do to salvage the situation?Thomas Wilmington has just returned from Scotland to become the Duke in his late father's place but also inherit the massive debt that came with the title. He is in desperate need of money. Fortunately for him, the solution comes in the face of a wealthy French merchant's daughter. The only problem is, she's not the fiery, passionate woman he expected to meet. To add to his problems, he finds himself irresistibly attracted to her maid! Entangled in this impossible situation, will he choose love and undeniable passion over duty?When things don't go according to plan and identities are threatened to be exposed, what can Isabella do to ensure that she won't lose Thomas? In this forbidden romance, can they find a reason to believe it's worth risking everything they have for it? The battle between right and wrong may not have the final say in this story of unprecedented love. 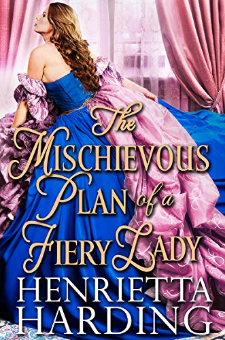 "The Mischievous Plan of a Fiery Lady" is a historical romance novel of approximately 80,000 words. No cheating, no cliffhangers, and a guaranteed happily ever after.Get This Book FREE With Kindle Unlimited!